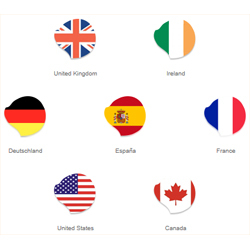 The Sage One Canada programme came online yesterday (1 Oct 2013) taking the total number of countries now sharing the global Sage One cloud platform up to 7 (UK, Ireland, Germany, Spain, France, USA and now Canada). Impressively, 5 of these countries have been launched in the past 6 months demonstrating the speed at which brand new Sage One programmes are now being deployed around the world, with many more coming soon. If you’d like to follow the growth of Sage One around the world, keep an eye on the #SageOneWorld hashtag on Twitter.